The door to the "portal" in downtown Colorado Springs. Artist Amar Bakshi created the project in 2014 with the goal of fostering cross-cultural communication. The portal at the Pioneers Museum has been up and running since July. In that time it has been used by a wide range of people, for a wide range of purposes. Often, people simply use it to chat with a stranger on the other side of the world. But for the most recent episode of Air Check, we were interested in learning about one particular way it has been used by some Colorado Springs residents: music. 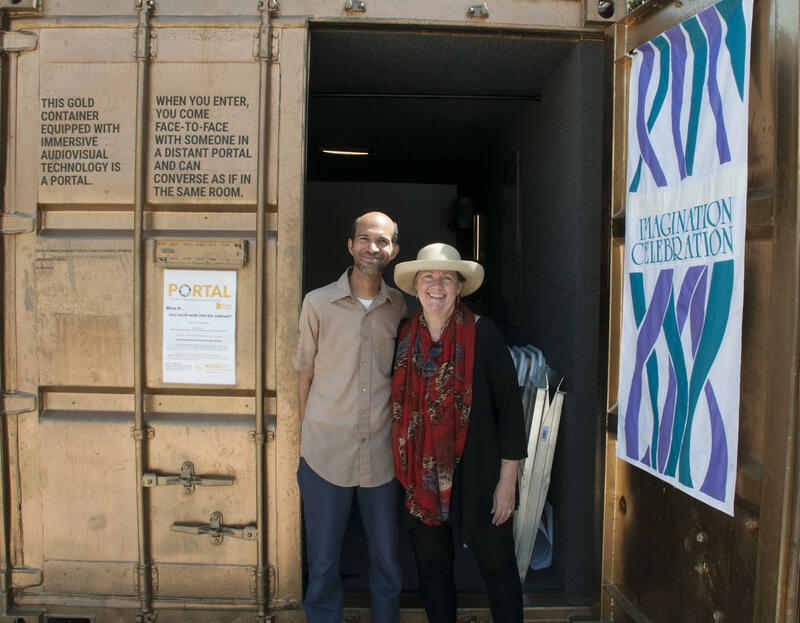 Deb Thornton and Brian Elyo in front of the Portal. Portal curator Brian Elyo and Imagination Celebration Executive Director Deborah Thornton say it's not uncommon for a person to bring a guitar to play some songs for an audience in Afghanistan or Myanmar. Musicians around the world have also used the portal to perform for audiences here in Colorado Springs. Even when language fails, say Elyo and Thornton, music can provide a way for people a world apart to communicate and find common ground. In the segment above, Thornton and Elyo share some of their favorite musical experiences from the portal so far, including an impromptu fiddle/hip hop improvisation, violin lessons between a local teacher and a student in Rwanda, and a performance by a 15-year-old oud player in Gaza. 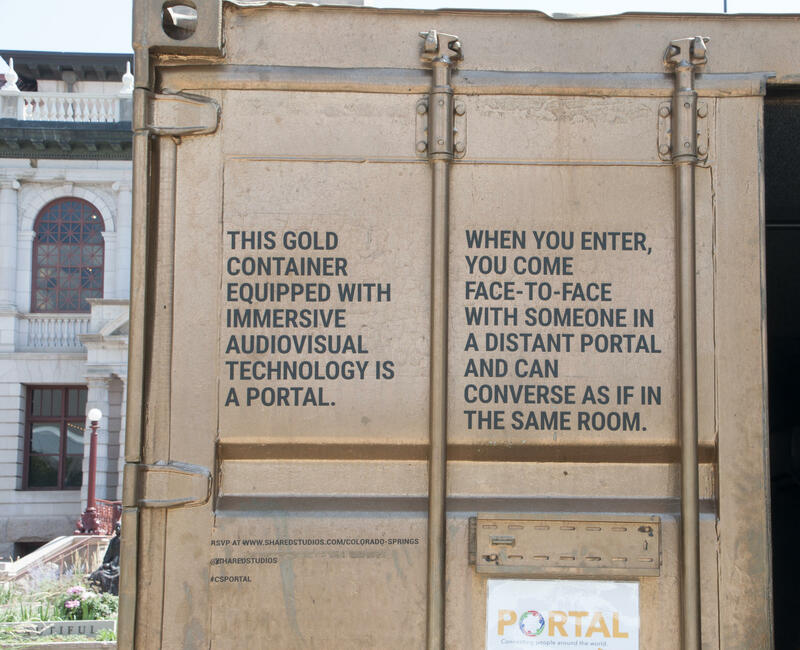 The portal will be open to the public Saturday, September 9th, at the What If Festival in Downtown Colorado Springs, and then it will head to the University of Colorado in Colorado Springs. For more information about the portal and to book a time slot, click here. 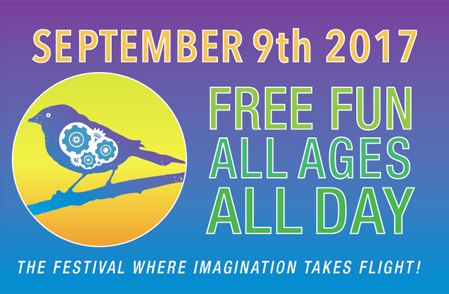 91.5 KRCC will be hosting a day of music at the What If Festival this Saturday September 9. Join us on the Nosh Patio from 10 a.m. to 5 p.m. for music with Crystal and the Curious, New Vintage Jazz, Ryan Flores, My Name is Harriet, Edith Makes a Paperchain, and the Reminders. The 91.5 KRCC Music Stage will be in the beer garden on the Nosh Patio - bring a folding chair, some sunscreen, and a state issued ID if you want to enjoy a beer along with all the great live music.